Job interviews for coding careers aren't like most other job interviews. There are a lot of elements to landing a coding job that you will need to prepare for. 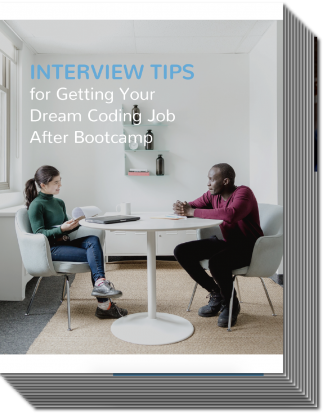 After talking with many hiring managers and alumni that have landed their dream coding job, we have this guide to help you get a job after bootcamp. In this guide, you will learn all the details about how to land an interview, how to prepare for the interview, and how to make a good impression during the interview! Why Take a Coding Bootcamp?